Rev. Joseph Mohr (1792-1848), 1816. Translator: Annie Howe, an adaptation of Silent Night, Hallowed Night, the version by J. F. Warner (1849). 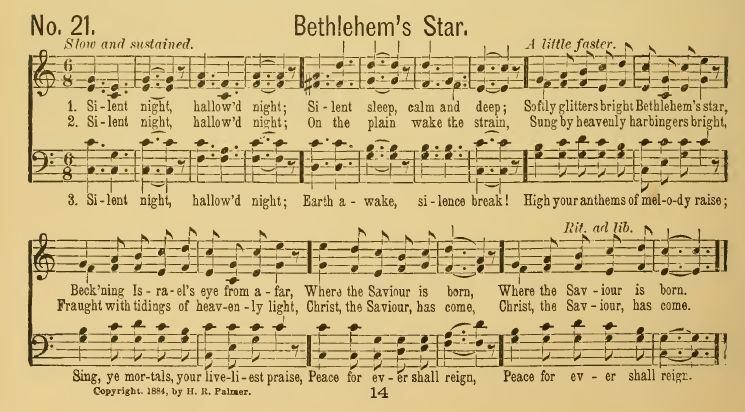 Music: "Bethlehem's Star" by H. R. Palmer, copyright 1884. Source: H. R. (Horatio Richmond) Palmer, Palmer's Book of gems for the Sunday school : a new collection of favorite hymns and tunes for use in the services of the church, the praise meeting. (New York and Chicago: The Bigelo and Main Co., 1887), "Bethlehem's Star," #21, p. 14. Where the Savior is born. Christ, the Savior, has come. Verse 3, line 4. Note that this is the line most frequently changed by subsequent editors, who have substituted "Sing to heaven in anthems of praise" and "Heaven and earth in full chorus of praise." 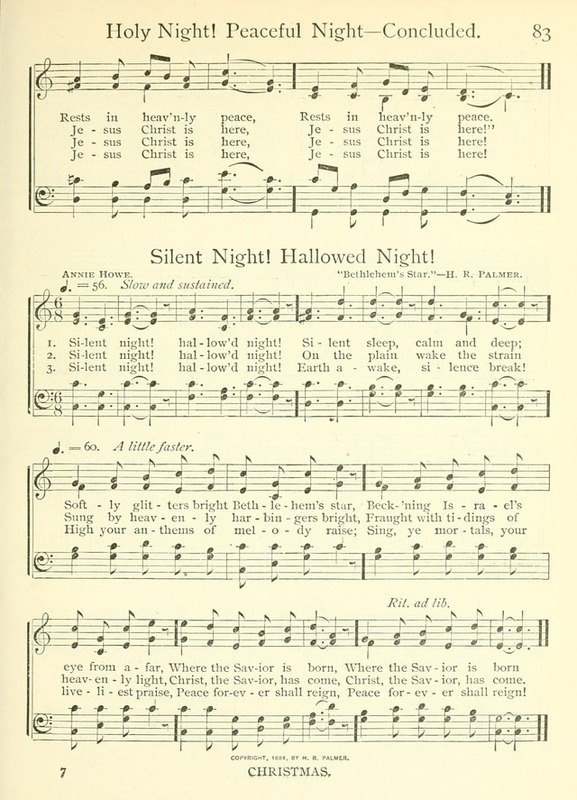 Also found in Palmer's Life-Time Hymns (1896), p.91.